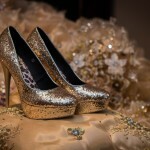 Are you shopping for shoes for your big day? 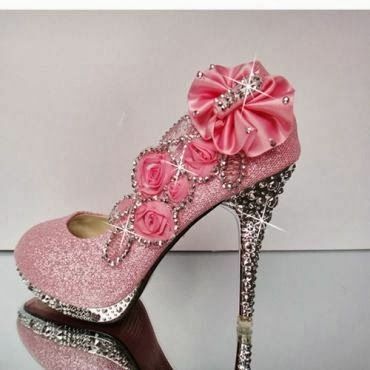 Or is your best friend’s Quinceanera right around the corner and you need a pair of cute heels to go with your dama dress? Either way, you’ve come to the right place! Choose one of these stylish pairs of gorgeous shoes, perfect for a fashionable dama and picture-perfect for the Quinceañera taking her first steps into her role as a young lady! Glitter is gorgeous. Blush pink is beautiful. Put the two together, and you’ve got one practically perfect Quinceanera shoe! And of course, you’ll probably want to tone it down, but we just loved this over the way over top pink confection! 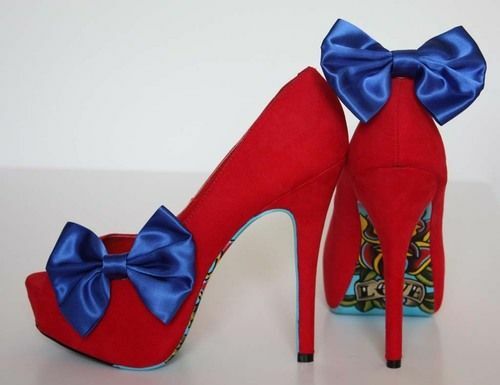 You don’t have to pay money for shoes that already come with bows. Get shoe clips and put the bow anywhere you like! Just buy a shoe in the color you want, then do a search for “shoe heel clips” and you’ll get scads of ideas! 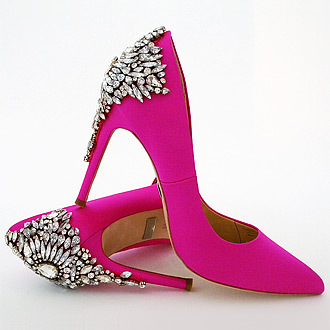 You can also mix and match your heels to your damas’ dresses or the bowties of your chambelanes. Whatever color you choose, though, be bold! And if you want to go totally over the top, get clips that can be worn on shoes and clipped onto a simple evening bag! Nothing says “innocence” like Mary Jane’s wth a bow and nothing says “grown up Quinceanera girl” like platform pumps. 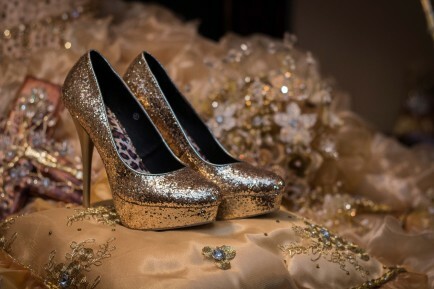 These shoes combine the two and are perfect both for either a fairytale princess theme or a vintage theme Quinceanera. Bring out your inner warrior in Roman-inspired caged gladiator heels. And if you want to carry the look through the surprise dances, or just have a 3rd pair of standout flats for the reception, change into glitzy gladiator sandals. You can never go wrong with pumps, and you’ll be able to wear them long after your Quince which makes them a great investment. You’ll find just about any color and fabric you want—suede, leather, patent leather, even glitter. Just make sure to choose a color that really kicks! Metallics are all the rage, and your Quince is the perfect place to showcase your style. 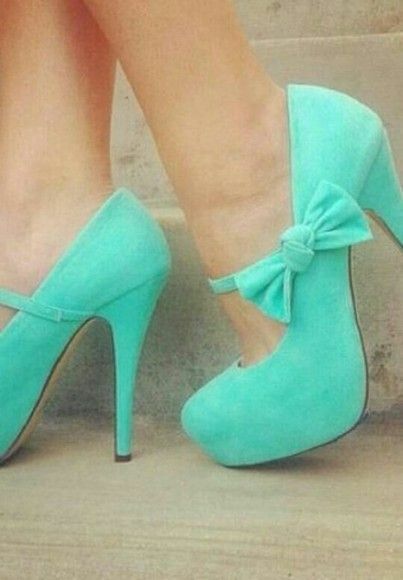 Make sure to have a gorgeous pedicure to show off these shoes even more! Here’s another style that’s a perfect combination of little girl and lovely lady. The lace adds a soft detail, while the pearls add a girlish touch—but not too much! Also, these heels are really comfortable to walk in. The platform adds height, the sturdier heel won’t let you stumble, and the rounded toe is perfect for not pinching your toes! Your Quinceanera is all about your becoming a woman, and what says “woman” more than soft pink combined with the unquestionably adult texture of suede?! The soft ankle tie gives these heels an extra touch of style and comfort. Ribbon laced ballerina shoes are all the rage, but you don’t need to be a dancer to pull off the perfect look. You can buy simple ballerina shoes with ribbons already attached, fancy beaded flats with no ribbons, or make your own dazzlers. Just purchase a pair of ballerina flats in the color you want, then go to town with glue and jewels. A stitch or two to hold the ribbons in place and you’ve got designer shoes for a fraction of the cost! 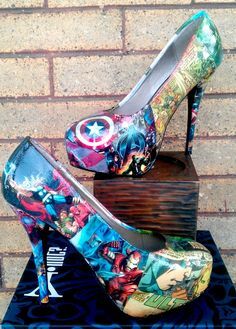 If you like the idea of a flat but want something edgier, choose a shoe that not just has character but is a character! 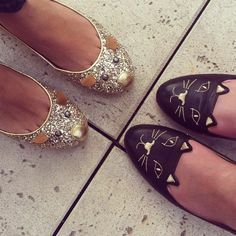 Dress your damas in the cute little cats and you in the glitter mouse slippers. What’s really great is that these are definitely wear-them-again. Can’t you just see those mouse and cat shoes with blue jeans?! Why play it safe when you can take it over the top with shoes right out of a dream—a wildly creative dream?! If you can’t find the theme shoe of your dreams at this site, you won’t find them anywhere!